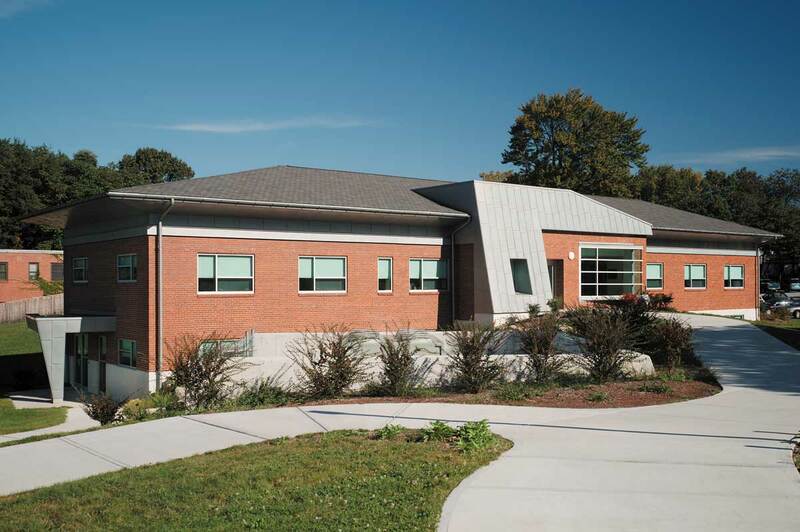 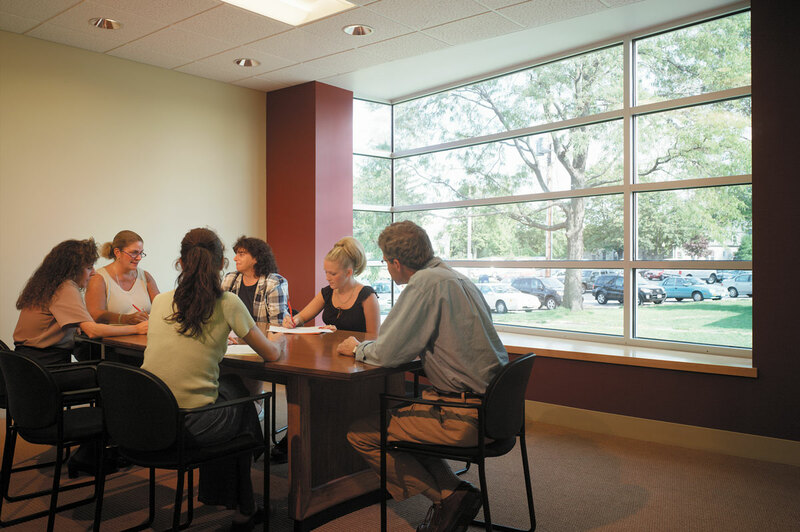 This adaptive reuse of two former DCYF residential cottage buildings accommodates the College’s finance and administrative offices. 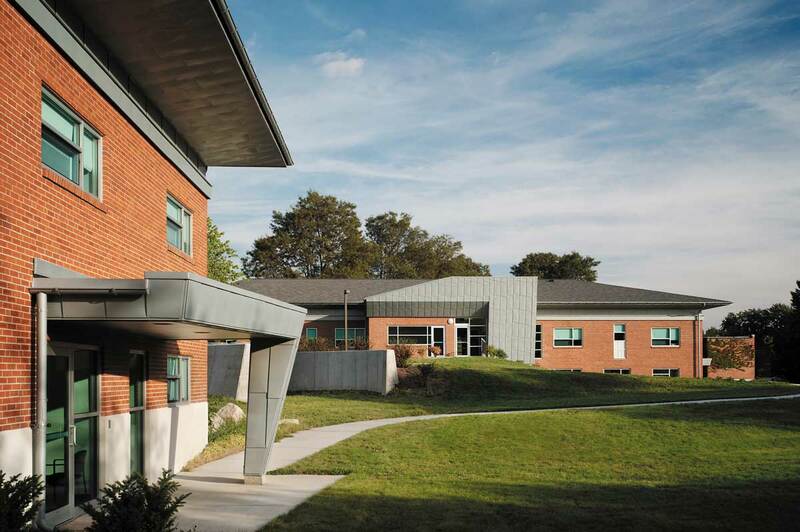 The renovated structures have become anchor buildings for the college’s East Campus Development. 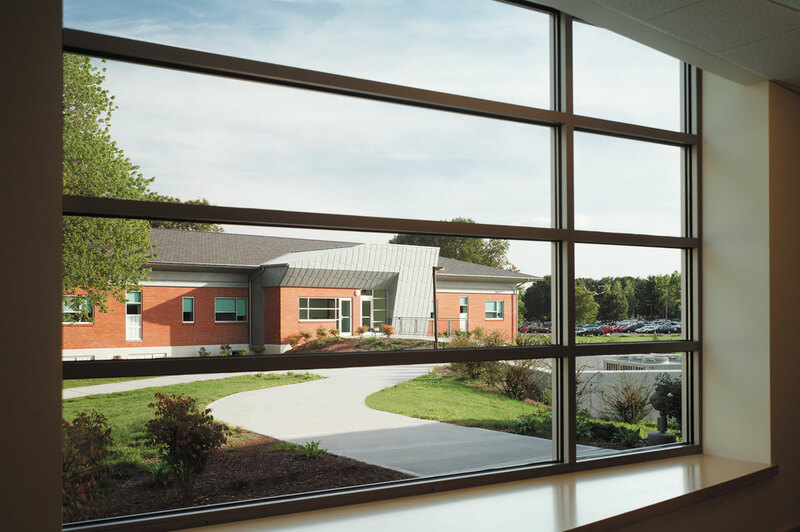 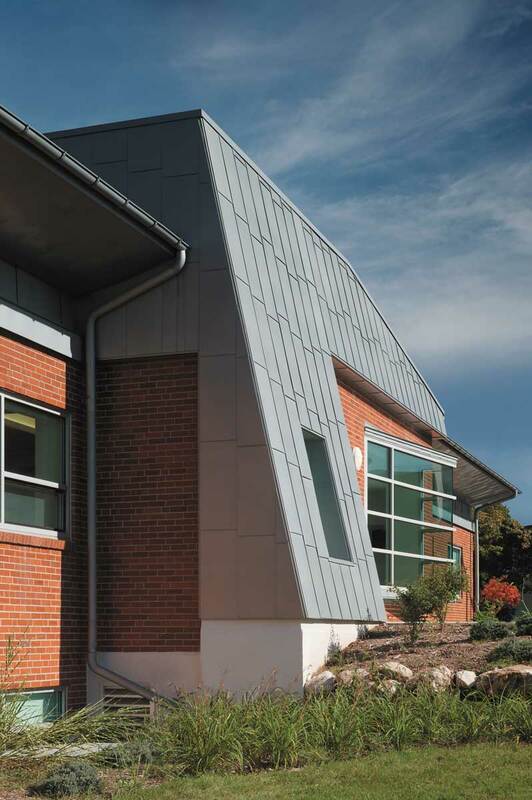 The architectural design features striking new roof profiles and entrance concepts accented by custom-fabricated zinc paneling to establish a unique experience for staff, visitors, and students on the revitalized East Campus.